Si este mismo año ya nos hacíamos eco de la aparición de la reedición del mejor material editado por Black Tambourine, no hace mucho nos hemos topado con la aparición de una Bandcamp donde encontramos algunas remezclas de cuatro de los temas que aparecen en el disco ya reseñado en The JangleBox (TJB, Marzo 2010). Se tratan de For Ex-lovers only, Can´t explain, Throw aggi off the bridge y We can´t be friends. En el texto de abajo os explican algunas de las diferencias de estas remixes con respecto a las originales. Lo mejor de todo es que los cuatro temas están a vuestra disposición para descargarlos de manera legal y gratuita. ¿A qué esperáis? “These mixes were transferred from a copy of the original Black Tambourine cassette. The songs were recorded at Upland by Barrett Jones, then mixed at Inner Ear by Don Zientara. 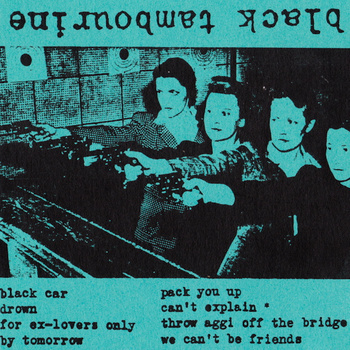 Soon after the first Black Tambourine single (By Tomorrow) was released, the master tape containing all of the original studio mixes was stolen from a car. The songs that weren’t included on that single were quickly remixed by Mike & Archie at a home studio, so that they could be quickly released as a second single and compilation track. There are no major differences between the mixes included here and the remixed, previously released versions. They come from the same performances and recordings. The differences are fairly subtle– doubled vocals on Can’t Explain and For Ex-Lovers Only, a long feedback ending to Throw Aggi Off The Bridge, different effects & treatments (reverb, reverb, reverb) all around. The vocals are somehow buried even deeper, and the guitars sound louder. Ahora que están tan de moda los sonidos Shoegaze, el Noise-Pop-Revival y demás, Slumberland Records ha hecho coincidir el vigésimo aniversario de la creación de Black Tambourine con este disco reeditado en el que aparecen los tres singles que la banda editó en su momento, 1989-1991, con otras reediciones y canciones más o menos perdidas. La aparición del disco no puede ser más oportuna, porque para que se coman el pastel bandas como Vivian Girls o Dum Dum Girls, pues aquí tenemos a las originales Black Tambourine, todas unas “adelantadas” de su época, que tomaban como referente a The Jesus & Mary Chain para recrear su particular forma de entender el Pop, desde un punto de vista más melódico, sin olvidar a referentes como The Ramones, el sonido Spector, The Pastels, Shop Assistans, Orange Juice… Black Tambourine en realidad se formó como un proyecto paralelo a las bandas de las que provenían la mayor parte de sus componentes: Whorl y Velocity Girl, a quienes se unió Pam Berry como vocalista, quien aportó su particular tono entre sombrío y sensual. Una buena oportunidad para conocer qué se cocía en el panorama Indie de finales de los ochenta y primeros noventa, y a la vez descubrir los orígenes de muchas de las bandas a las que hoy en día admiramos. Interesante. “Crucial compilation from one of the first Slumberland bands. 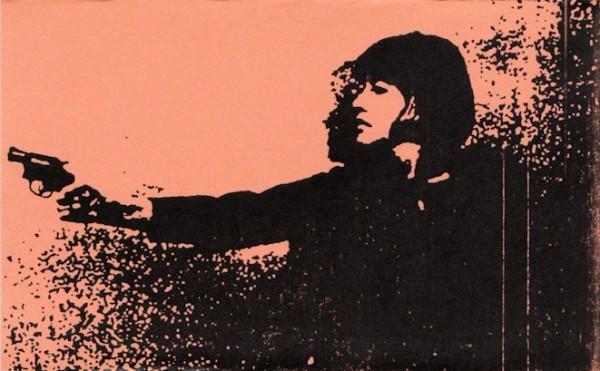 A feedback-enshrouded collision of noise and pop that owed a lot to The Jesus & Mary Chain, Shop Assistants, Galaxie 500 and 14 Iced Bears, but of course is marked as totally unique by their dark, haunting tunes and Pam’s lovely vocals. This reissue includes new liner notes, new art, never before seen band photos, and SIX unreleased songs, including four new recordings made in the Summer of 2009. 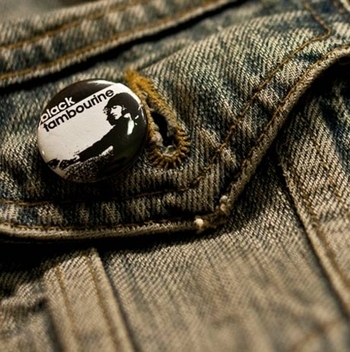 Though they only released a handful of songs their two-year lifetime, Black Tambourine has been hugely influential in the world of indie music. Conceived of as an explicitly pop band at a time when such bands were pretty rare in America, Black Tambourine wore their influences on their sleeves: The Jesus & Mary Chain, of course, but also folks like Phil Spector, Smokey Robinson, Love, The Ramones, Shop Assistants, The Pastels, 14 Iced Bears, Orange Juice and the list goes on… The band’s dark, dreamy sound was consonant with the shoegaze sounds of the day, but the classic 60s-influenced songwriting gives their tunes a timeless appeal. Formed in 1989 as a side project by members of Whorl and Velocity Girl, they soon recruited their mate Pam Berry as vocalist and released their first song, quixotically an instrumental, on Slumberland’s very first release. Two singles followed, along with a pair of compilation contributions. Alas, other obligations became more pressing and the band called it a day in 1991.